Cohiba Red Dot Robusto Vs. Gran Cantidad Churchill. The ubiquitous Cohiba Red Dot takes on wild card opponent Gran Cantidad. Only your palate can decide the victor. One of the best values out there! Cohiba speaks for itself. I was pleasantly surprised at the Gran Cantidad Churchill. Smooth good burn start to finish. Highly recommend. I have not had a chance to smoke the Gran Cantidad yet, but my favorite cigar is the Cohiba Red Dot. For almost half the price of hust 5 Cohiba Red Dot Robustos, you get the 5 Cohibas and 5 other cigars! 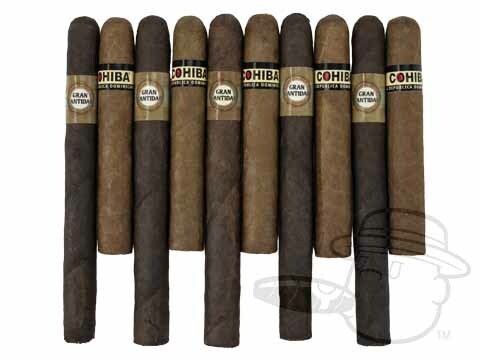 Bcp Battle Packs - Cohiba Vs. Gran Cantidad is rated 3.6 out of 5 based on 4 customer ratings.